Years ago a friend who contracted polio as a young child, and was confined to a wheelchair until he was six or so, described how it was to walk for the first time, barefoot on grass. He luxuriated in the memory and I shared in it. There is something about the contact with the ground which we all know about but lose touch with as we graduate from sensible sandels to fashionable foot torture! So. Please join me in my joy and enthusiasm for my shoes bought in London today. Barefoot shoes, Vivobarefoot shoes. 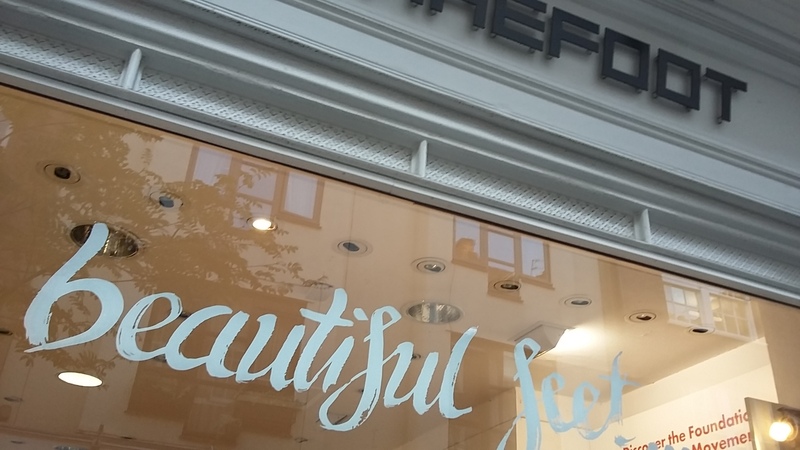 Yes the shop window says it all, Beautiful Feet…..are happy feet. Which makes for a happy memory of a chap from long ago. Imagine remembering in detail ones first steps! This post is for all those who walked on the ground for the first time, and lived long enough and had the words to describe it. Viva Vivo! Previous PostFull of EmptinessNext PostWhere Is Latvia? 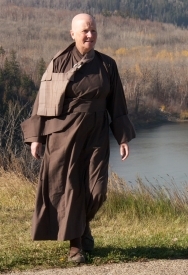 Anybody know that Zen monks walked about on Getta which are much like two by four planks of wood. And there again monks also wore straw sandels. Probably made by the wearer. Love the shoes, more boots than shoes to be truthful. I ran down the platform at Euston this evening to get to the quiet coach before it filled up. No problem? Those shoes are wonderful. I have two pairs now! You too aye. Wonderful help in there shop in Neal Street. No. Premo help.